New from Caldere: Video Tutorials! We have just posted the first of a series of video tutorials on our YouTube site! Stay tuned for more in the coming weeks, covering topics ranging from CRM to visualisation dashboards, all focused on getting the most out of our valuable data. The topic of our first video is Connecting Power BI to an Act! Database. We are presenting some simple tips anyone can use to bring their Act! 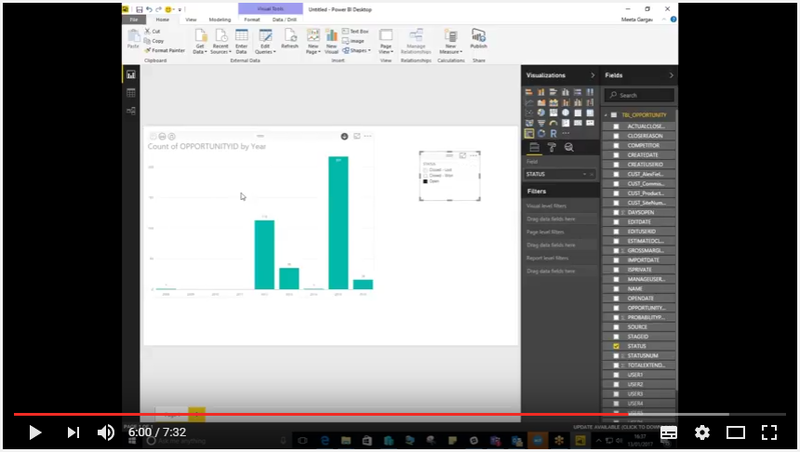 data into Power BI and visualise it with just a few picks and clicks! If you’re tired of trying to convert and remix your data to make it look how you want to present it, come let us show you how basic and automatic it can be to produce really professional results effortlessly. Click the screenshot image to begin.